Nearly a third of students in HCM City suffer from stress, while 53% lack motivation. The municipal Department of Education and Training has conducted a survey on local students’ mental health, covering 150 schools of different levels. 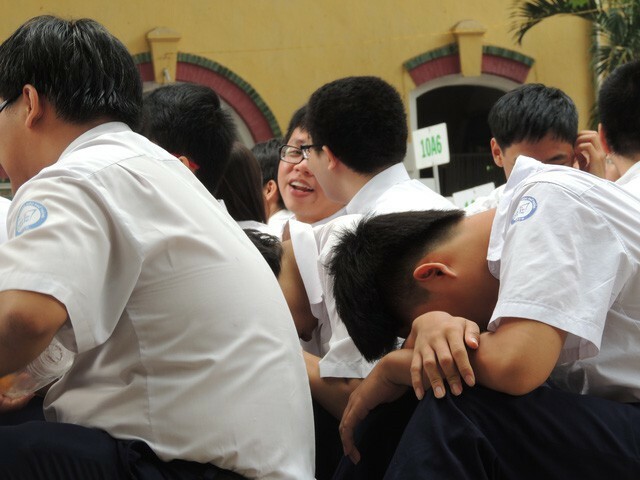 The survey reported that 7.8% of students left school; 21.1% on the verge of leaving school; meanwhile 31% said they were stressed and 53.8% lacked motivation. According to the survey, up to 41.5% of surveyed students admitted that they are addicted to the internet and games and 40.2% violate school regulations. Around 5.7% of students had violated the law and 2.8% girl students have abortions. In addition, 0.8% of students had self-harmed and 24.6% had been bullied. The problems have been partially attributed to the lack of care from families and schools. Schools need to have services to support students who face difficulties. The Ministry of Education and Training said that studies conducted in seven northern provinces also found that 20% of students suffered psychological problems that required intervention. Experts suggested that in order to achieve a comprehensive education, it was necessary to take care of mental health to help students overcome their problems and enhance their learning. The Ministry of Education and Training had assigned the Vietnam Institute of Educational Sciences to set up programmes for teachers psychology training.